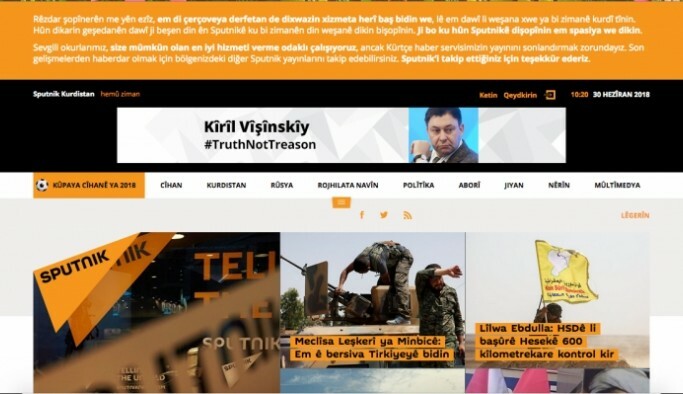 Russia’s state-controlled Sputnik news agency has closed down its Kurdish-language website and a request by Turkish government was behind the move, according to media. Former employees of Sputnik Kurdish claim that the news agency terminated its service in Kurdish language at Turkey’s request, Artigercek online news portal said in a report on Saturday. Turkey has stepped up its crackdown against its Kurdish minority since 2016. Trustees have been appointed to dozens of municipalities in the country’s predominantly Kurdish Southeast, while hundreds of local Kurdish politicians have been arrested on terror charges.